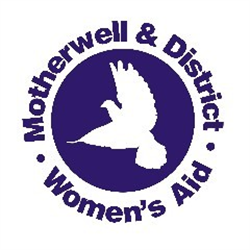 Motherwell women’s aid is a voluntary organisation that provides safe housing, advice and information to women who have been affected by domestic abuse. Motherwell Women’s Aid are looking for a Children and Young People’s Support Worker this role provides practical and emotional support to children and young people who have been affected by domestic abuse. Candidates should have a good understanding of domestic abuse, have experience in providing direct support and have excellent communication skills. The successful applicants will be able to demonstrate a high degree of self-motivation and have the ability to work as part of a team. You must have experience of supporting children and young people in both 1-1 and group situations. They will also have a passion for improving the lives of women and children who have experienced abuse. Driving license is essential with access to a car. The successful candidates must have a qualifications recognised for SSSC registration. They will also have knowledge and a commitment to a feminist analysis of domestic abuse. It is essential that candidates have knowledge of child abuse and child protection legislation. Successful applicants will be subjected to disclosure check through the PVG Scheme. Motherwell & District Women’s Aid is an Equal Opportunities Employer and positively welcomes applications from women from all sections of the community. Only women need apply under Schedule 9, Part 1 of the Equality Act 2010. We are currently looking to recruit a women’s support worker who has experience of delivering support, advocacy and information to women experiencing domestic abuse. You must have an understanding of the issues affecting women experiencing domestic abuse and share our commitment to feminism and equality. Applicants must be highly motivated and enthusiastic individuals who are committed to supporting women who have been affected by domestic abuse. A minimum Qualification of HNC in Social Care or relevant SSSC Recognised qualification. A driving licence and access to a car is essential. Motherwell Women’s Aid positively welcomes applications from women within all sections of the community.